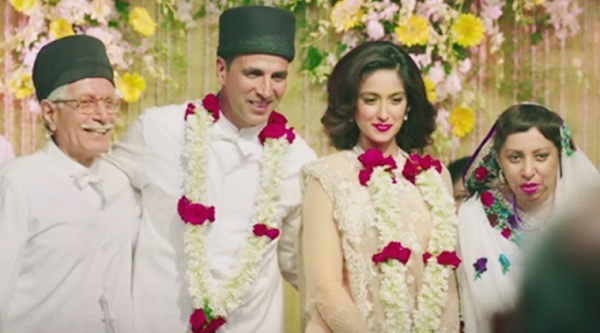 Rustom 3rd Friday (15th Day) Collection Report, Good Hold. Rustom has managed good hold on 3rd Friday (15th day) at box office. Good start on 3rd week suggest film has enough steam left to roll further in coming days. Rustom total collection after 15 days is approx 118.25 crore nett. Film will close in or touch 120 crore nett by the end of 3rd Saturday (16th day). Start on 3rd week suggest film should now touch or go past 125 crore nett in its lifetime. Also means Rustom will now attain a Super Hit status at box office. Akshay Kumar has already delivered a Super Hit in Airlift and his second one in Rustom is an icing in the cake. He is definitely having a great time in 2016. 3rd Friday - 1.25 crore nett (est). Total - 118.25 crore nett (approx). Rustom.. BB.. But according u still be superhit, what a bad calculation..
Salman khan & Akshay Fees not included in both movie.. Both share movie profit..
Now your tern..Rustom is hit/superhit/BB..?? ?